The boom in smart, mobile devices over the last several years has changed the way homeowners control and monitor their home in some pretty amazing ways. Synchronizing home security systems with smart phones and tablets allows people to watch cameras, arm alarms and even lock doors from afar to give them piece of mind. Even more recently, new refrigerators let you see what’s inside from the grocery store on your phone, alert you when you run out of something or when your milk expires. The ability to connect your home with new technology has since become known as home automation. Wouldn’t it be nice to be able to connect other aspects of your home with remote control? Well, home automation is now giving homeowners a new level of control and comfort. 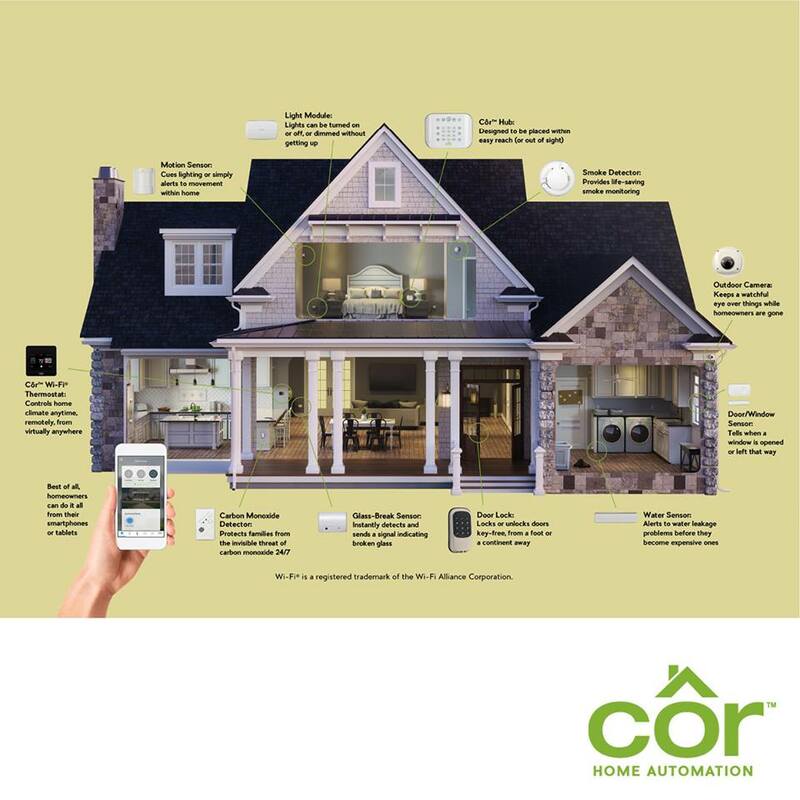 The latest technology from Côr Home Automation has created a smart thermostat: the Housewise Thermostat, a dynamic, new way to control your home’s comfort level. The Housewise Thermostat not only gives you further reaching control but also changes how you make adjustments within your home. Did you forget to turn down the thermostat this morning? Is an approaching cold front going to make you come home to a freezing house? Home automated thermostat gives you the ability to control your home’s heating and cooling levels to ensure you come home to the perfect temperature, all from your mobile device. What makes Housewise Thermostats different from other similar products out there? These devices are registered not only to you, but with your dealer as well. That way, if something goes wrong with your system, you won’t be the only one getting an alert. Your dealer, like Chapman, will also get an email alert of the issue. This eliminates the run around of contacting repair and significantly reduces downtime of a broken system. Controlling your thermostat from outside the home is just the beginning. Housewise Thermostats are also game-changers inside the home. Housewise Thermostats are compatible with Amazon Alexa-enabled devices. Stop fiddling with knobs and buttons. No more only being able to control the thermostat from one room. And no more having to constantly get up to fidget with a temperamental system. Now you can control all your heating and cooling with your voice. We know, this is Star Trek type stuff, right? All you need is registered Housewise Thermostat, an Alexa-enabled device (Amazon Echo, Amazon Dot or Amazon Tap), the Alexa app and a Wi-Fi connection. From there, you are free to give your device simple commands to control and change your system from anywhere in the house. You can check out our free guide to learn more about how easy it is to integrate your new thermostat with the latest technology and get answers to some frequently asked questions. Ready to own the smartest home on the block? The future is now! Pick up the phone and call Chapman today to have any questions you may have answered and find out how you can bring a smart thermostat home with you.